1) TNA officially "jumped the shark" last night. 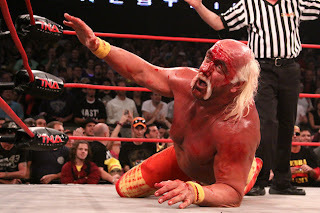 With all dues respect to Ms. Dixie Carter, Rick Flair and Hulk Hogan? Really? So by moving from Thursday to Monday nights to compete head-to-head, you thought this match up of geriatric has beens would be more compelling than Shamus vs Triple H, Randy Orton or Batista vs anybody? Also, is this why you brought back Hulk Hogan? To embarrass and deface a legend that helped put your "sport" on the map? 2) Upper Deck Signature Stars is a pretty weak and worthless product. With four hits per box, I don't mind one or two being Team USA inserts but all four?!?! No thanks. Even if one is a flag patch #'d to 4 and there was an extra auto of an actual MLB player, the lack of inserts, parallels and disproportionate amount of Team USA players as hits makes this product a bust in my book. 3) Court Kings looks impressive. While the price point might offend some collectors, I like the fact that this product is bringing Diamond Kings to the hardwood and relying on (primarily) on-card autographs, great design and artwork instead of memorabilia to justify its price point making it the anti-Exquisite. 4) If you have never watched hockey, you really need to. Period. Plain and simple. Speed, hard hitting checks, acrobatic-like play making, fast paced end-to-end action and the occasional fist-a-cuffs. What's not to like? 5) eBay has added a widget/gadget gallery for sellers. Has anyone tried them yet? 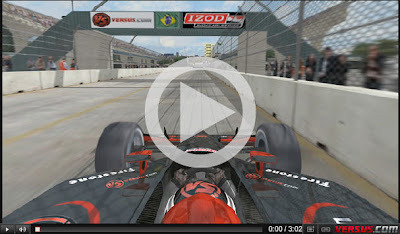 6) Indy car racing returns! The 2010 season opens on one of the most technically challenging courses on the circuit in beautiful Sao Paulo, Brazil. Take the vitrual lap through 11 corners reaching speeds in excess of 190 MPH. 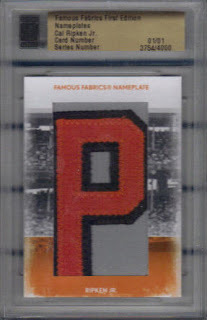 7) The game-used letter patches coming out of Famous Fabrics are great. But they seem to be the only thing worth acquiring. Think I agree with all that's listed, so this comment is just my way of saying hi. So, hi.